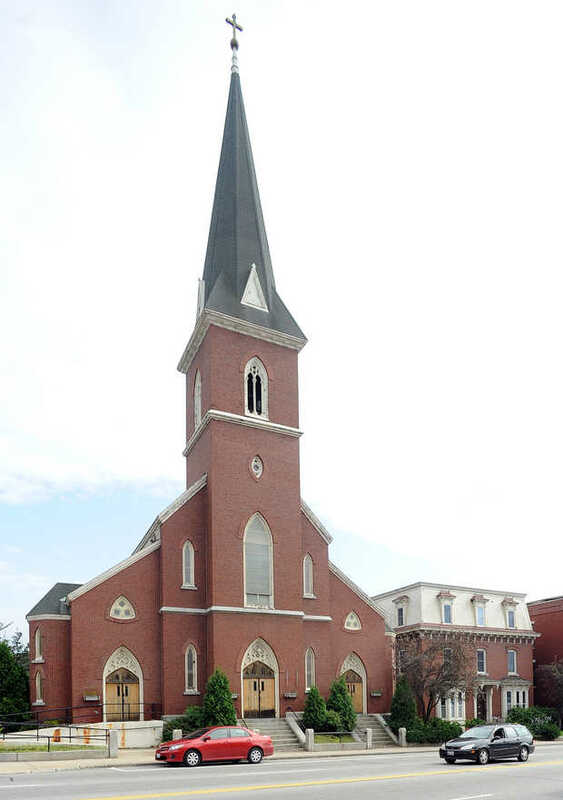 Designed by 19th-century architect Patrick C. Keely and completed in 1867, St. Joseph’s Gothic Revival-style church is the oldest Roman Catholic church in the city of Lewiston. The building holds deep ties with the development of the town and the influx of Irish and French Canadian Catholics who poured into the city to work on and in mills in the mid-19th century. 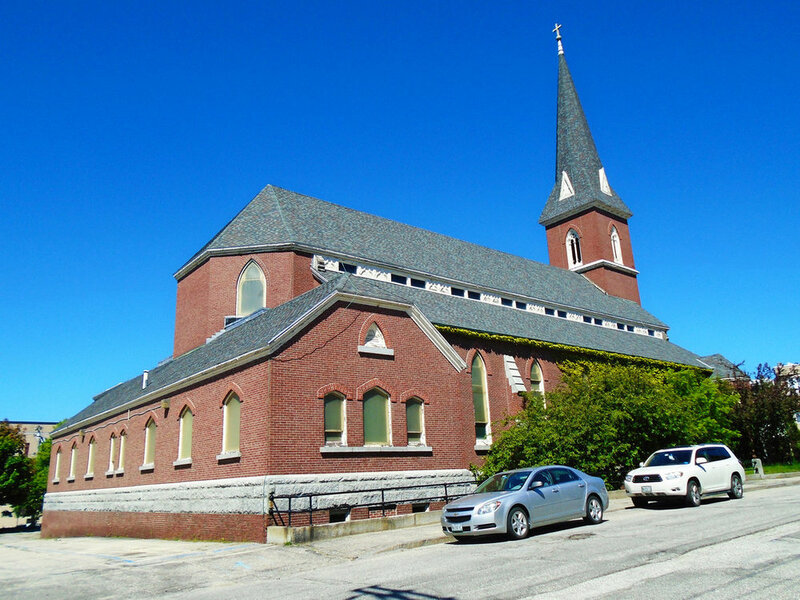 Financial difficulties and a shrinking congregation in Lewiston and Auburn. 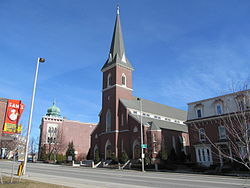 led to the diocese to close the church in 2009. The building sat vacant for 3 years, its maintenance deferred until Central Maine Healthcare purchased St. Joseph’s in May 2013 for $125,000. CMH initially announced plans to demolish the sanctuary to make way for parking spaces, but earlier this month, it temporarily withdrew its demolition application. According to spokesman Chuck Gill, Central Maine Healthcare is reviewing options, and remains sensitive to the. church's historic and sentimental value to the community. 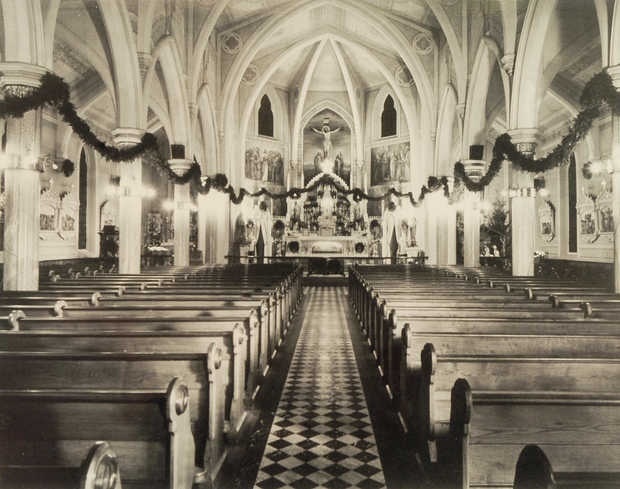 Adaptive use of religious buildings has proved successful for many abandoned churches, breathing new life into the buildings and surrounding neighborhoods. Some are used as community centers and concert halls, such as the Franco-American Heritage Center in Lewiston. Others are used as highly visible, flexible office, space such as the Swedenborgian Church in Philadelphia. Historic churches have also been successfully repurposed into restaurants, including Grace Restaurant in Portland, which used historic preservation tax credits.